It just dawned on me, I’ve been baking up a storm to share the best low carb bread recipes, but haven’t yet done a deep dive into taste testing various products to share with you guys! So here it is: my honest opinion on a handful of the best low carb bread options — from the top low carb bread products on Amazon, to my favorite recipes! Below I’ll compare and critique each product based on texture, taste, price, toast-ability (it’s a word), and versatility. To be fair, I blind taste tested each of the keto breads below to see which was my TRUE favorite! This review is not sponsored, and I have no contact with these brands! I wanted to give you my honest opinion, and learn for myself what the best low carb bread actually is! The products I purchased were from Amazon, because that makes them more accessible, and they generally have the best prices. 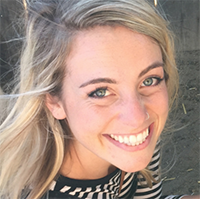 For this article, I solicited the help of my trusty taste testing partner, to ensure my opinion wasn’t biased (I mean duh, I want my low carb recipes to win!). 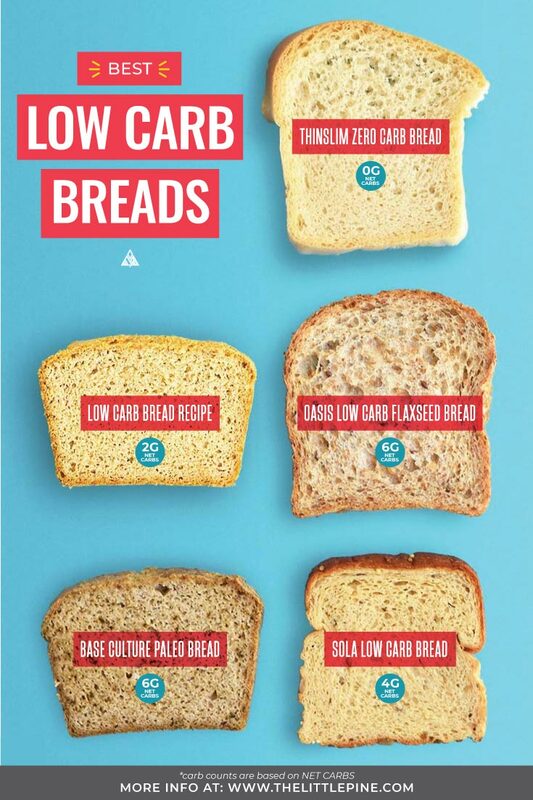 Now, here are all the low carb bread contenders. I divided them into recipes vs. store bought products so you can find what works best for you and your lifestyle! Taste: 2 – extremely bland!! Would I Buy Again: Definitely not! 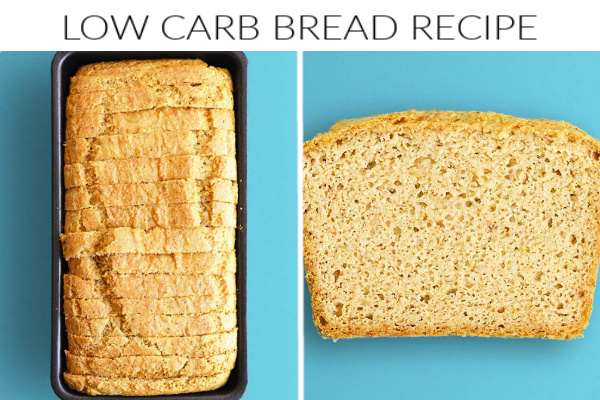 For us, this no carb bread was so bland, we didn’t see the point of eating it! Also, SO expensive! That said, the texture was truly impressive. Texture: 3 – texture was not very bread like — it lacked the “fluff” and was pretty dense. 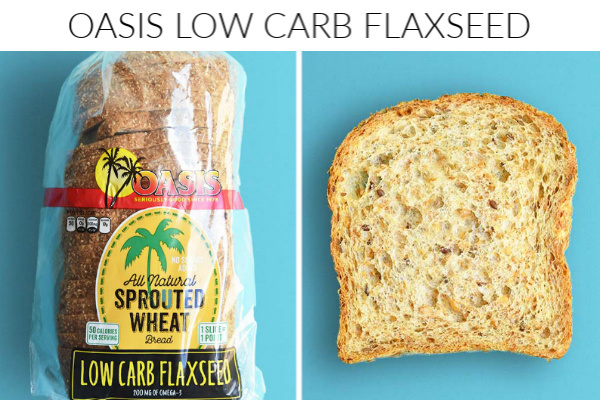 Personally, I don’t mind this, but I know it’d deter many from considering it the best low carb bread. Taste: 4 – delicious! Our favorite tasting store bought product. Would I Buy Again: We loved the taste! And didn’t mind the texture, but at that price, we prefer our homemade low carb bread (we like the taste of those recipes more as well). Texture: 5 – we both thought this bread had the best texture! Just like wheat bread. Taste: 3 – good, not great! 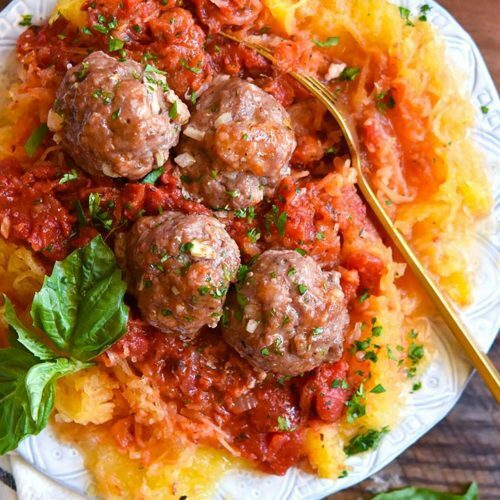 Would I Buy Again: GREAT texture, even better than my homemade low carb bread. But, the flavor was just ok, and I want better than ok! This low carb yeast bread recipe is the only product I’d consider buying again. Texture: 3 – pretty dry. Taste: 3 – flavor was ok, honestly, it tasted “healthy”. Would I Buy Again: Nope! Too dry, too healthy tasting, no thanks. Before testing out the products, I was pretty confident one of my low carb breads would win! This section is why I solicited the help of my taste testing partner, as I wanted to give you a non-biased opinion when judging my own recipes. Texture: 4 – less fluffy than wheat bread, but not bad. Taste: 4 – honestly, not a biased opinion (thanks to my taste tester), this was our 2nd favorite bread in terms of flavor! Would I Make Again: Yes! In my opinion, this is the best low carb bread for sandwiches, toast, etc. Texture: 4 – less fluffy than wheat bread but not bad. 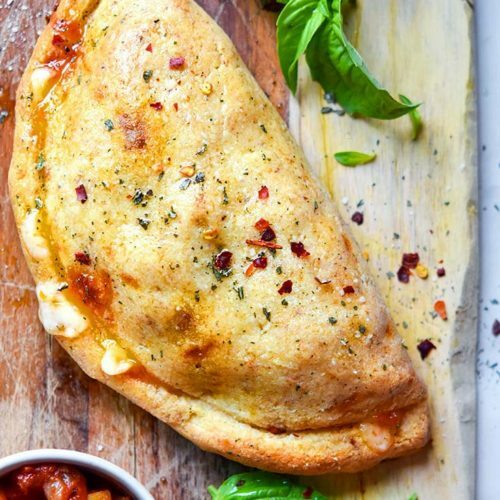 Taste: 5 – hands down, our favorite bread. The herbs and olive oil make it so delicious, Doug ate half the loaf during our taste testing. Would I Make Again: Duh! In our opinion, this is the best low carb bread! 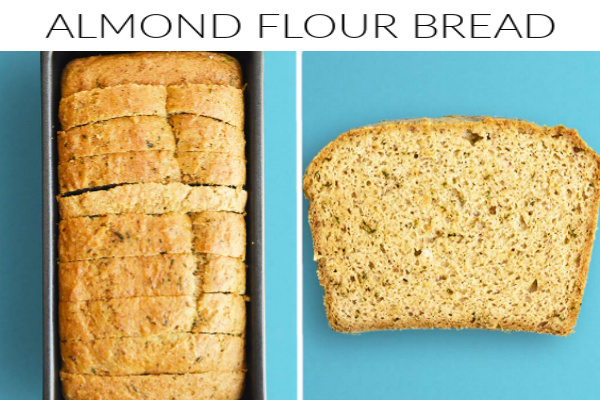 On this list, you’ll find different keto bread options for every occasion, but we both agree that the best low carb bread was the almond flour bread recipe above. 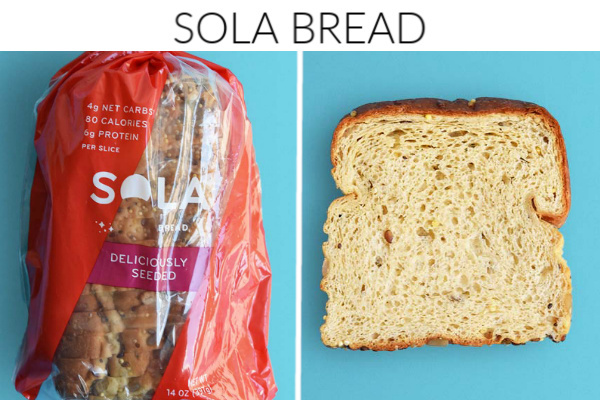 The best store bought product was Sola — which had, hands down, the best texture of all the low carb breads we tested! I recommend grabbing low carb bread from Amazon, although you can sometimes find a loaf or two at Walmart, Whole Foods or Sprouts. This almond bread is ridiculously delicious! Slice it up, toast it, and cover it with cream cheese — makes for perfect low carb desserts and low carb snacks. 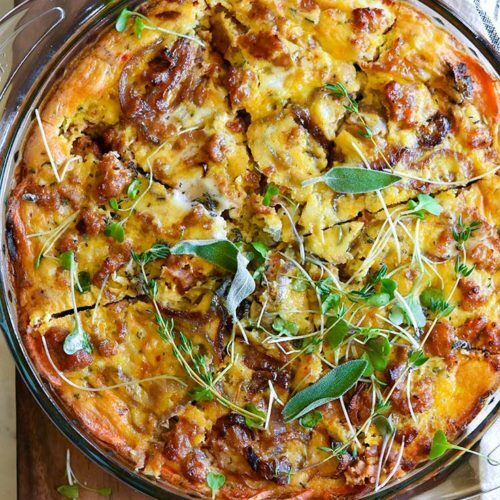 Oopsie bread is CERTAINLY an acquired taste — it’s significantly more eggy than this list of best low carb bread recipes — try it out and let me know what you think! 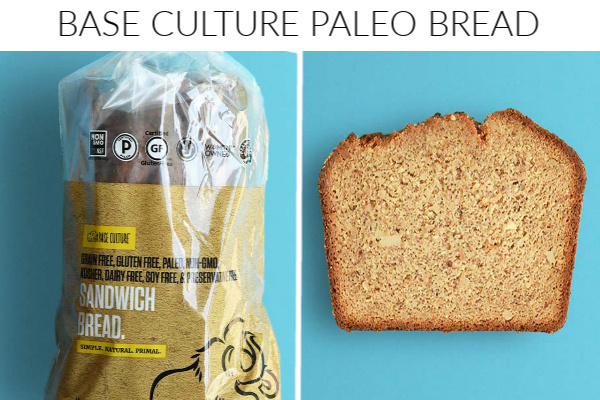 Can’t WAIT to hear what you think about this review of the best low carb bread options! 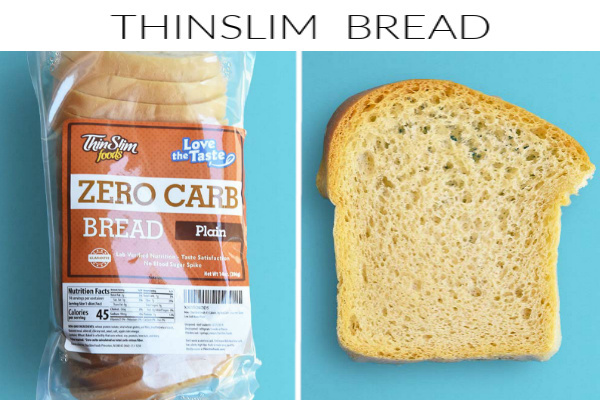 Have you tried these low carb breads? Did you agree with my rating? Let me know in the comments below, or if I missed your favorite low carb bread, I’d love to hear! I think low carb is great but calories count to a lot of people who need to eat low carb. Have ou done a calorie count on your recipes? I just bought Chompie’s “Cinn-Sational” cinnamon with raisins bread through Netrition.com. It has 2 net carbs and 66 calories in a 32g slice, is a little over $7.00 for a loaf, and I think the regular bread has only 1 carb. I made French toast with it and it was a real treat with good taste. I used Choc Zero Maple Pecan syrup, 32 calories for 1 tablespoon (only needed one for a single slice). Toasted or not, it tastes like regular bread.